Baba Ganoush is kind of like hummus, but made with eggplant instead of chickpeas. This recipe includes broiling the eggplant and using chipotle powder to give it a nice smoky flavor. Baba ganoush is great as a dip or as a healthy alternative to mayonnaise on sandwiches. Give it a try! Lightly coat a large baking sheet with cooking spray. Place the eggplant halves cut-side-down on the sheet and broil on high until the skins are evenly charred. This should take about 10 to 15 minutes. Bake the eggplant, still cut-side-down, at 375 degrees Fahrenheit for about 20 minutes. The eggplant flesh should be extremely soft at this point. Scoop the flesh of the eggplant out from the skins. 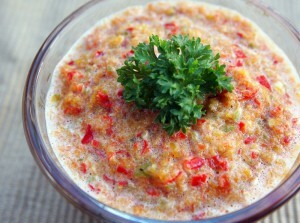 Transfer to a large blender or food processor. 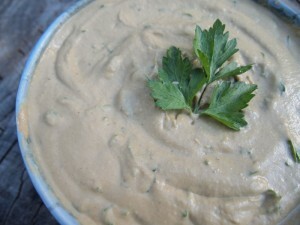 Add the tahini, olive oil, lemon juice, chipotle powder, garlic, salt and several twists of black pepper from a mill. Process until completely smooth. 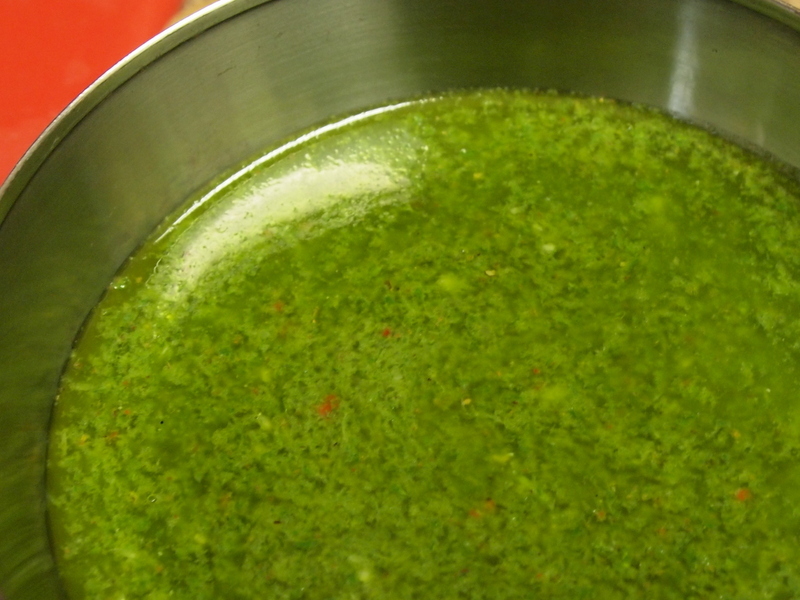 Transfer the puree to a large bowl and mix in the parsley. Season with additional salt if necessary. Let cool to room temperature or chill slightly in the refrigerator before serving. Special thanks to our friend Rob for this recipe idea. Place tomato wedges, onion halves, and jalapenos on a greased baking sheet. Broil in the oven at 450 degrees Fahrenheit for 10 minutes or until tomatoes are slightly blackened. 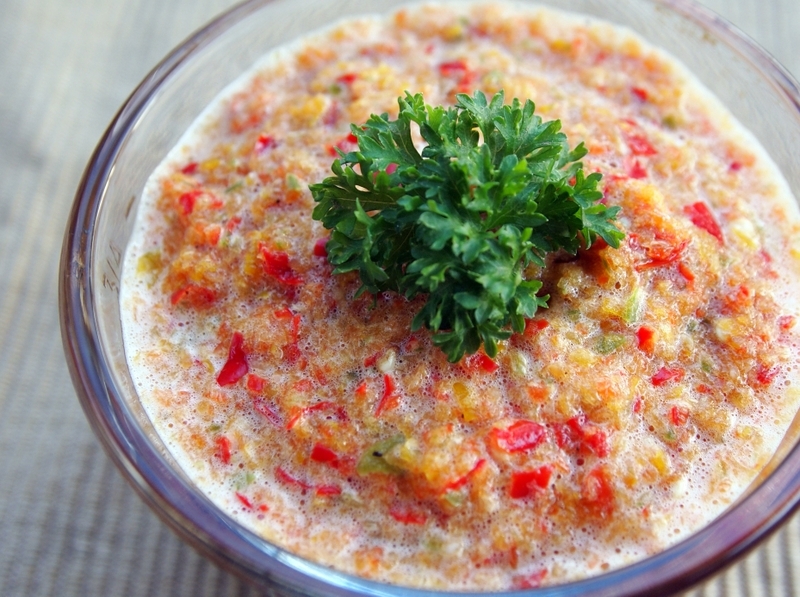 Place broiled vegetables, olive oil, and salt to taste in a blender and liquefy. 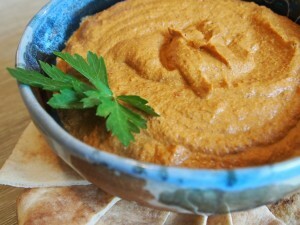 Serve with favorite entrees or appetizers to add heat and flavor. James adds the finishing touches to our Garden Marinara. Remove the tomato cores, place the tomatoes in a large pot, cover with water, and bring to a boil. Once the water comes to a boil drain the tomatoes in a large colander and spray with cold water. remove the skins and set aside. While the tomatoes are coming to a boil, place the peppers in a medium baking dish coated liberally with olive oil. 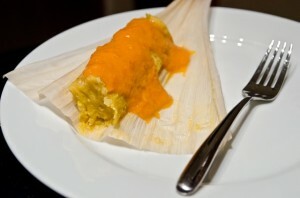 Place in an oven and bake at 400 degrees Fahrenheit until the skins are browned, about 10 minutes. 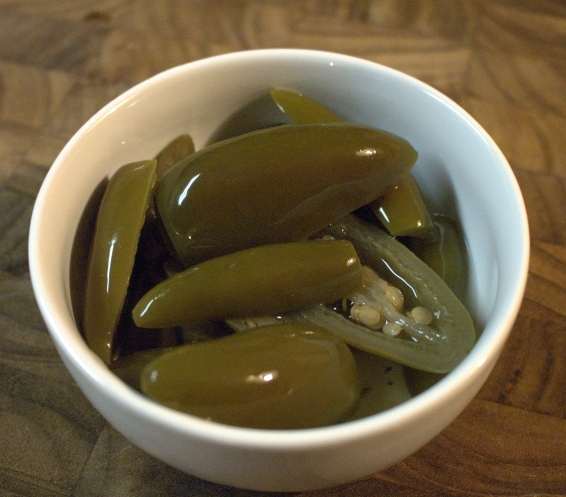 Transfer hot peppers to an airtight container and allow to steam for about 15 minutes. Remove skins, stems, and seeds then dice and set aside. In a large sauce pot, heat olive oil and saute onion and garlic at a low heat, stirring occasionally, until caramelization begins, about 10 minutes. Add mushrooms to the saute and continue cooking until all of the liquid from the mushrooms is expressed, about five minutes. Add skinned tomatoes, minced roasted peppers, jalapeno, and oregano to the saute. Combine with a wooden spoon and break up the tomatoes. Lower heat to a simmer and season sauce with salt and sugar to taste. 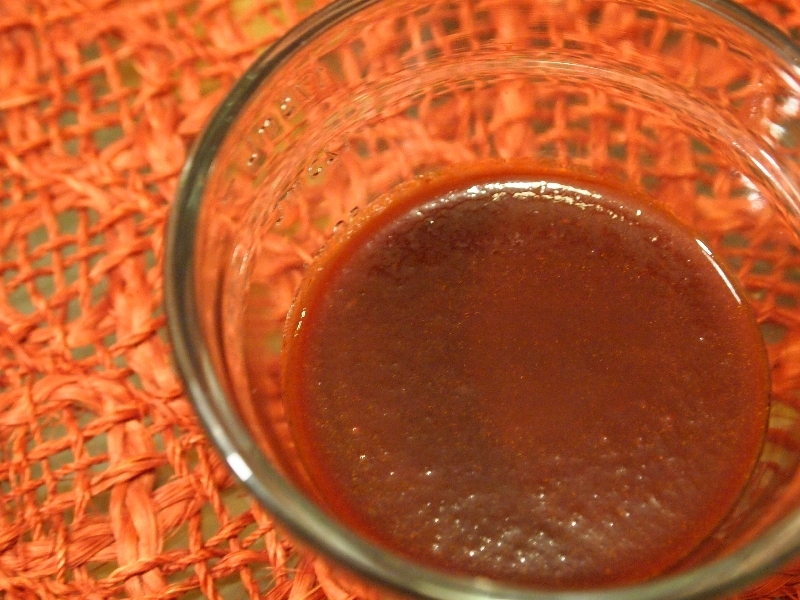 Continue to simmer over low heat until the sauce has reduced by about 2 cups, or about an hour. 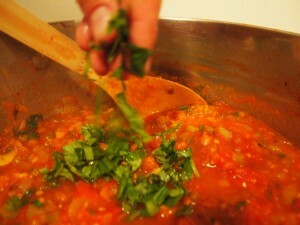 Add chopped basil and remove from heat. 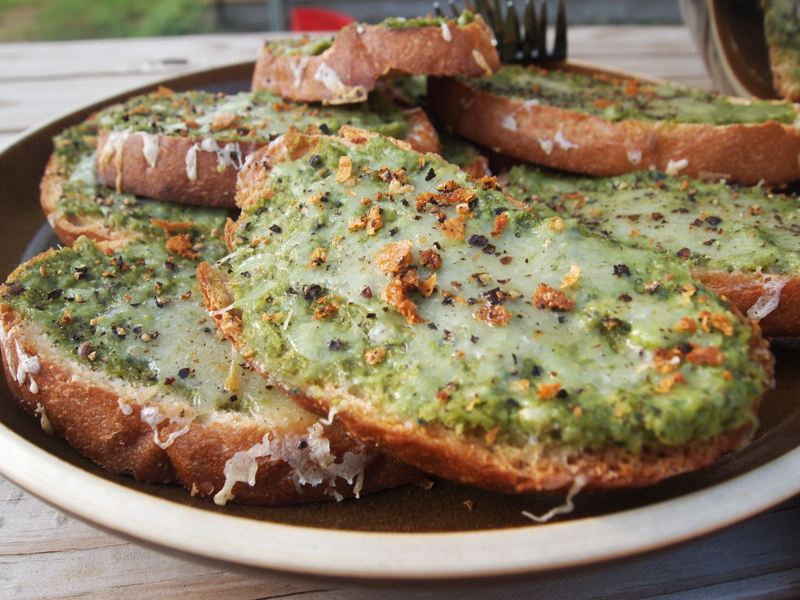 We prepared this pesto the baked it in the oven on sourdough toast topped with fresh grated Seco cheese from Dos Lunas and ground black pepper. Divine! 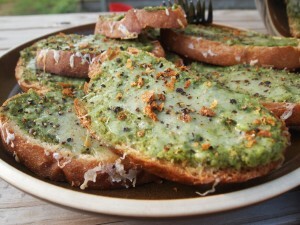 Green Tomato Pesto on toast with melted cheese. Combine tomatoes, basil, garlic, onion, and olive oil in a blender and puree on high until smooth.